Geripoo Technology co., Limited aims to make LED technology more accessible, understandable and definitely more affordable to the end user. LED is really not rocket science, although it is often presented like that! Geripoo,Acting as its international sales platform, we have both feet directly in the actual manufacturing process. 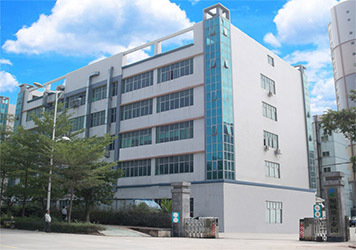 Our foreign multilingual and technical sales/support team, located inside our own two OEM factories in China, fully ensures product development, quality control and client communication to the highest international standards. We guarantee a quick turn- around time in responding to your questions. The products in this catalogue are fully designed and manufactured by us. In case of very special LED applications, where we may not directly oversee production, we maintain strategic partnerships with select manufacturers. ‘Geripoo’ offers substantial European warranties, European invoicing and comprehensive certification, which are essential in your market. As a leader in led lighting technology,Geripoo approach is ECO and SAVINGS driven. We will give you more for a better price suited for all projects. We released LED big bulb Light up to 120w. NEW Style LED flood light, 500w and 1000w led flood light for sport court published. 500w led high bay light and 100lm/w led panel light on sale. Oversees the entire production process, from packaging LED diodes to assembling the end-product. The correlated color temperature (CCT) and light purity (CRI) of LED diodes are determined by the mixture of raw materials. This fully automated process determines the quality of the diode and the amount of your electricity savings. This knowledge makes it easier to select the right LED manufacturer. LED Microchips are delivered on a wafer. Our LED products have either Epistar, CREE, Forepi, Samsung or Bridgelux chips. A layer of insulation glue is added into each LED frame. One microchip is then placed into into each cup. During this dust-free and temperature-controlled process, continuous checking ensures that no unwanted substances are present. Bonding LED with gold wire ensures durability. Many factories use aluminium or cheaper alloys to reduce cost. Unless you are actually in the factory, will you be able to inspect this. Every wire connection is tested by running a current though it. It is nearly impossible for customers to gain access to this secret section of the factory. The mixture of raw materials as described in step 1, is now added to the microchips. In some factories, this is a manual process, lacking precision. In our factories, we fully automate this process under the right climatic condition. Finally, the LED diodes receive one last coating to protect from dirt, moist, UV radiation and other unwanted substances. Two separate sessions of baking ensure that the protective layers attach well to the LED diodes. In the first stage, we apply extreme heat. In the second stage, which takes 24 hours, a lower temperature is used. The end-result is an extremely high quality LED diode. This is the heart of the LED light. LED diodes are cut from their frames before being sorted according to color temperature, voltage and current. The machine runs a current through each LED diode, reads the parameters and sorts them accordingly. The diodes are randomly inspected by our staff, since the human eye can perceive quality differently from a machine. The LED diodes are now ready to be assembled in the lighting product.